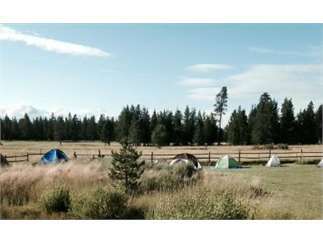 A summer getaway, with FREE Tent CAMPING, and RV sites for sale. Kids <13 FREE admission, and teen tickets. You'll make new friends and happy memories at this special time. See reviews on Google and Facebook. 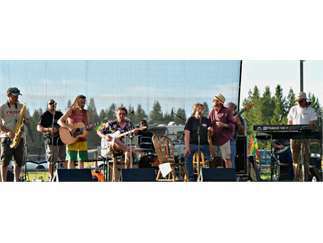 With over 20 bands on two rotating stages, the rural acreage, lawns, shady aspens & pines of So. 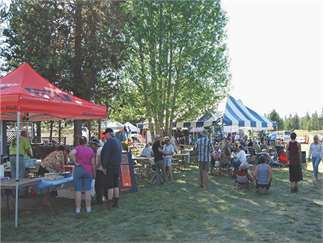 Deschutes County create a beautiful outdoor venue. La Pine and Sunriver come together as "Newberry Country" at the foot of Newberry National Volcanic Monument., a recreation paradise. 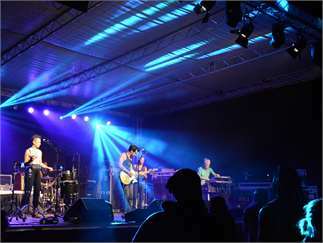 The NEWBERRY EVENT always entertains, with live music of all genres, delivering high energy shows. Dance dance dance in the grass just feet from the stage in this intimate venue. Classic funk, Indie rock, blues, folk, bluegrass, jazz, reggae and light shows are historic foundations. Loyal festival followers return each year, knowing the musical menu will be great. (Acts being signed now, to announce in February. Buy early bird tickets, available soon.) The Newberry Event brings National touring acts as well as Oregon performers to you. In it's 7th year, some bands will return from prior years, plus many new bands and performers as well. 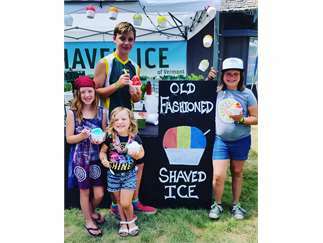 With many vendors - great food (breakfast too), Sunriver Brewing Co. beers, Brew Dr. Kombucha, cider, wine and distillery vendors, you'll find everything you need for the day or weekend. You'll also enjoy homemade arts & crafts vendors, and a silent auction plus raffles of incredible fine art and merchandise. This is a limited ticketed fundraising festival that feels like a private party. 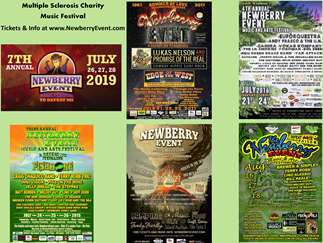 Tickets on sale soon at www.NewberryEvent.com. Multiple Sclerosis is a neurological and auto-immune disease that can keep people from moving. Come rock out and dance for those who can't. Raise awareness and research funds to find the cause and develop a cure. The 501c3 charity benefits the Oregon National Multiple Sclerosis Society,. Don't miss it! IRS charitable donations gratefully accepted. Vendor? Sponsor? Info? Contact form at www.newberryevent.com.